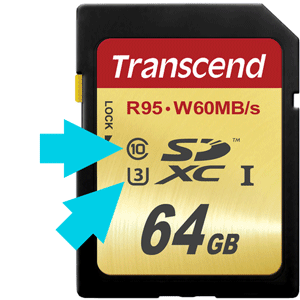 Choosing the right memory card seems like a trivial task compared to the process of selecting a camera and lens. But, the wrong memory card can cripple the performance of your expensive and sophisticated equipment. Today, I want to address the question that I am asked most often as a Sony shooter, “What is the best SD memory card for a Sony a6000?” Since Sony recently released the a6300 and a6500 models in rapid succession, I will address the new models as well. Because of Sony’s innovation in the field of mirrorless technologies and affordability, the Sony a6000 has become the most purchased interchangeable camera on Amazon and one of the most popular entry level cameras on the market in the last three years. 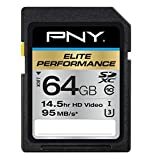 Based on my personal experience after shooting with the Sony a6000 for three years, I recommend the following SD memory cards. For photographers who are interested in understanding the reasoning behind my selections, a detailed breakdown is below. 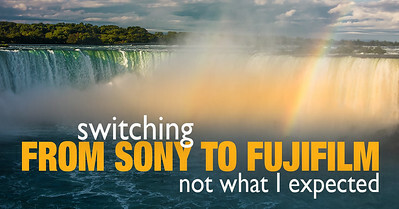 When selecting an SD memory card for your a6000, people typically make two types of mistakes. 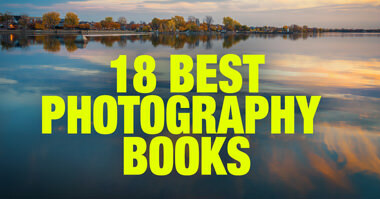 First, they buy slow memory cards that hinder the camera’s performance. Second, they buy high-end, expensive, new generation SD cards that the a6000 does not support, which only results in wasted money. Here is the best way to approach the selection. You need to buy the right type of SD card. It has to be fast enough to match camera’s speed. It needs to be big enough to store thousands of images. It needs to be reliable. This is the easiest part of the selection process. All you do is check the Sony a6000, a6300 or a6500 user guide to see what type of SD cards each model supports. We can see that all Sony models support the following storage types: SD/SDHC/SDXC. This means that if you buy an SD memory card today, it will most likely have the SDXC marking. 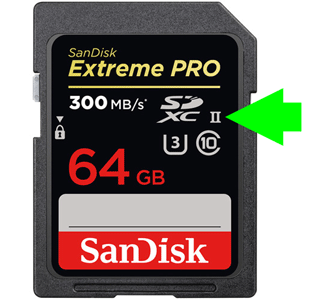 The speed of the SD memory card is the most crucial and, at the same time, the most confusing part of the equation. As photographers, all we care about is how fast the camera can transfer the taken photos from the camera to the memory card so that we can continue shooting without interruption. This is called the Write Speed. 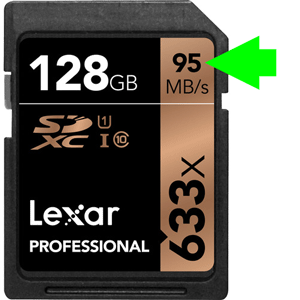 How fast the photos are transferred from a memory card to a computer or another device is called the Read Speed, which is less critical for most photographers. The problem is that almost all manufacturers only specify the Read Speed on memory cards and conveniently ignore the Write Speed. Why? Because the Read Speed is always much faster. To pinpoint the Write Speed of an SD memory card, we must follow the Speed Class Ratings. The goal here is to match the card’s Write Speed to the camera’s maximum internal speed. Sony does not provide this information anywhere. But, based on various sources that measured the maximum internal speed of the a6000, a6300 and the a6500 models, the speed is estimated around 30MB/s. 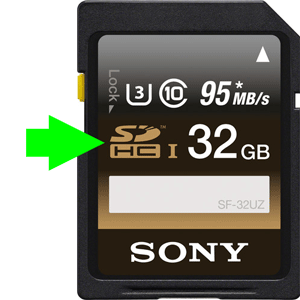 This means that if we buy an SD memory card with a Write Speed faster than 30MB/s, the Sony a6000, a6300 and a6500 will not be capable of taking advantage of it. 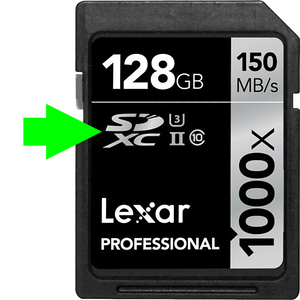 A couple of years ago, the new generation of SDXC cards was introduced with a must faster bus speed. To sustain a faster bus speed, new pin connections were introduced in the card design. As I am writing, there are currently two types of cards—UHS-I and UHS-II. It is easy to tell the cards apart by looking at the back. 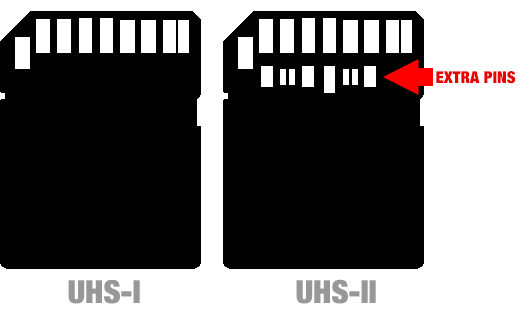 The USH-II card has two rows of pins while the UHS-I card has only one row of pins. 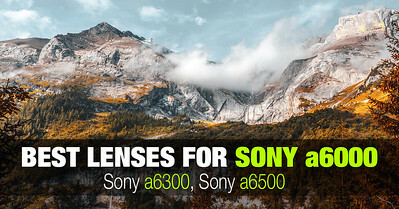 Important: Please note that the Sony a6000, a6300 and a6500 models do not support the USH-II cards and, as a result, cannot take advantage of a faster Write Speed. If you use the UHS-II cards with the Sony models, the speed will default to the UHS-I values. This tells us that to take full advantage of the Sony a6000 speed, we need an SDXC card, type UHS-I with a U3 speed class rating. We now have to determine the optimal volume capacity of the memory card. 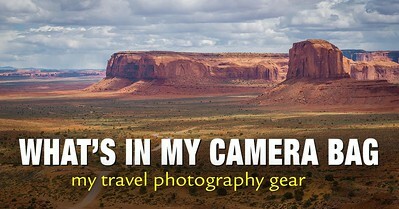 As a travel photographer, I want to ensure that I can spend the entire day shooting without changing the memory card. 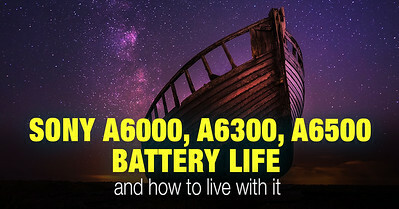 The Sony a6000, a6300 and a6500 produce RAW files that are approximately 25MB in size. 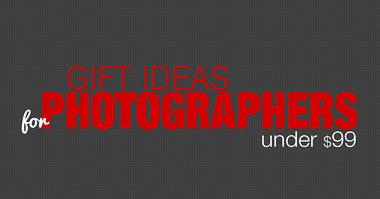 JPEG files vary in size between 5MB and 13MB depending on the camera settings and shooting conditions. Let’s say that I use a 32GB memory card and shoot entirely in RAW format. I can store 1,100 RAW files on a 32GB card. The 32GB card seems like an adequate size for my needs, but this is not entirely accurate. 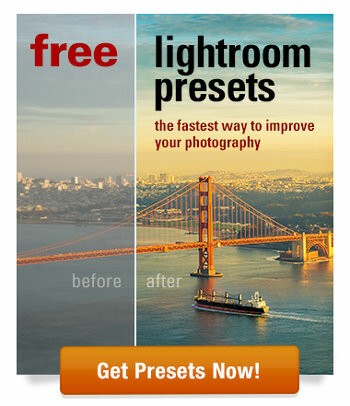 In most cases, I shoot RAW+JPEG so that I can grab a JPEG version with my phone or tablet for fast edits. Plus, I almost always bracket my shots, taking at least three brackets or anywhere between five and seven for HDR photography. This means that I can store only 276 bracketed shots on a 32GB SD card. That is simply not enough room for my standard shooting style. This is why all my SD cards currently range between 64GB and 128GB. This is fairly simple. 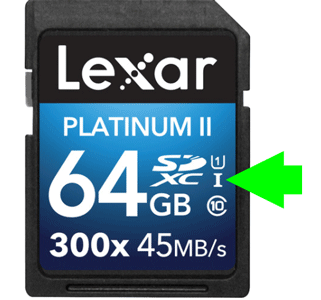 First, buy SD memory cards built by reliable brands (SanDisk, Lexar, Sony, Kingston, Transcend, PNY, Fujifilm) and avoid suspect manufacturers from Asia. Second, buy SD memory cards from a reliable retailer to avoid the risk of purchasing counterfeit cards. If you buy from Amazon, make sure the cards are sold and fulfilled by Amazon. Try to avoid buying from eBay or suspect online stores. UHS-I SD memory cards compatible with Sony a6000, a6300, a6500 models.